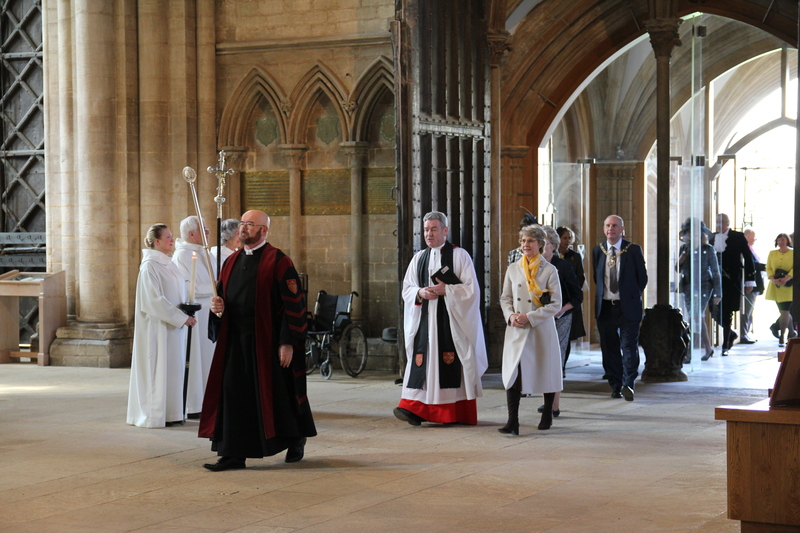 The Duchess of Gloucester, Patron of the charity since 1973, attends a Service at Peterborough Cathedral to mark the launch of Shine's Golden Anniversary. The Duchess of Gloucester, who has been the Patron of the charity since 1973, met several of the charity’s members among the 250 delegates at the launch, including 4½ year old Angel Wilcox, who presented a bouquet to The Duchess. The Duchess of Gloucester attends Shine's 50th Anniversary Service in Peterborough Cathedral, as Patron - where she received a beautiful bouquet of flowers from 4½ year old Angel Wilcox! Shine has a network of support and development workers around the country who are skilled at supporting people through the changes and daily challenges that spina bifida and hydrocephalus can bring for individuals and families. ​The event commemorated all that has been achieved from the charity’s early start as ASBAH in 1966, into the Shine it is today - with more than 11,000 members, a network of services, and a head office in Peterborough. What a great start to our golden year! Having the presence of our Patron, who has been such a support over the years, made this an extra special event. Shine has a network of support and development workers around the country who are skilled at supporting people through the changes and daily challenges that spina bifida and hydrocephalus can bring for individuals and families. Other special events planned for Shine's golden anniversary include a Heritage exhibition in July - the first exhibition of its kind in the UK - a Shine Firewalk in October, and Big Birthday events around the country. To find out more about their work, visit Shine's website. "This International Women's Day I pay tribute to her and other women across the Commonwealth and the world for all they are doing to help bring vision to everyone, everywhere." This is my tenth year as WellChild's patron and of course I'm honoured to be here at another awards ceremony celebrating the powerful work of this organisation. William, Catherine and I consider it a privilege to work with all of you.